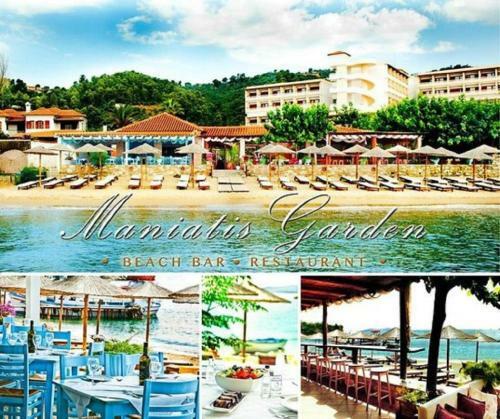 Maniatis Garden is located at the beach in Achladies, Skiathos. The hotel offers to its guests bar, garden	and restaurant. The property offers studio, apartment and other might be available upon request. The rooms offer garden view. Room amenities include a/c, tv, fridge and more.